Chattanooga Business & Family Attorneys | East Tennessee Immigration &amp; Intellectual Property Lawyers | North Georgia Divorce, Tax &amp; Environmental Law Firm | Grant Konvalinka & Harrison, P.C. Results Oriented, Detail Minded, Community Involved. 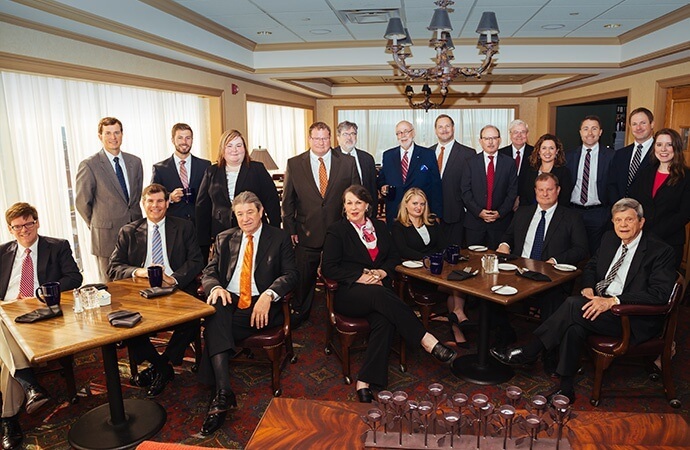 Our distinguished team of 27 attorneys brings expertise in a full array of legal services to our local, regional, national and international clients. In a profession that values excellence, experience and efficiency, we have earned our reputation as hardworking attorneys who act as zealous advocates from boardroom to courtroom. During its 35-plus years of operation, Grant Konvalinka & Harrison attorneys have built a reputation as being aggressive, dedicated, responsive and driven to accomplish results. Many of our attorneys serve on the boards of professional, charitable, civic, educational and religious organizations. The members of the firm actively support federal, state, and local bar associations.